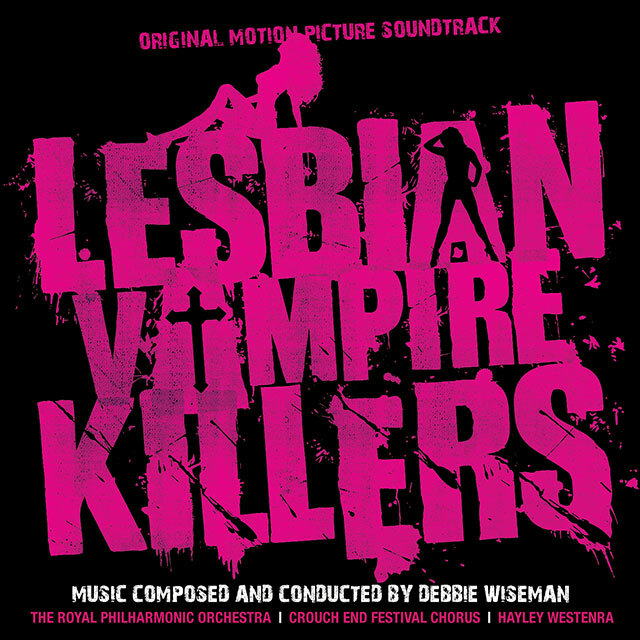 Debbie Wiseman’s gothic romantic soundtrack to Phil Claydon’s horror comedy. Well known for her lyrical style and penchant for melody, composer Debbie Wiseman has written soundtracks for countless television shows and an increasing number of films – Haunted, Flood, Middletown, Wilde, The Lighthouse, Warriors, Tom’s Midnight Garden and Arsène Lupin. In 2004 Debbie Wiseman was awarded the MBE for her services to the film industry, recognising her as one of the UK’s leading score writers. The soundtrack features The Royal Philharmonic Orchestra, The Crouch End Festival Chorus and classical singer Hayley Westenra, with whom Debbie collaborated on the soundtrack to Flood. This album includes Showaddywaddy’s 1976 chart topper ‘Under The Moon Of Love’. 4. Have You Been Hanging Out With Vicars? 5. I know something really wrong is happening here, but is there any chance we can just ignore it? 11. Full-On Lesbian Vampire Attack! 17. Whores of F***ing Hades, Prepare for F***ing Death! 19. Lesbian Vampite Killers It Is….Let’s Ride!